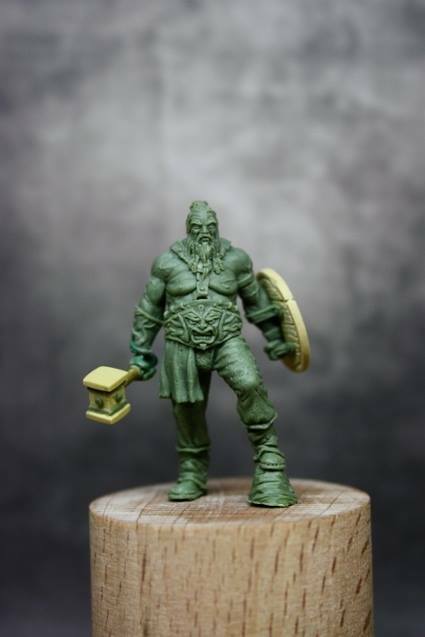 Black Sun Miniatures is a new miniature company that is about to start releasing some really wonderful miniatures which really suit my tastes for leather clad, muscle bound behemoths. What makes it even more exciting is that they appear to be 3 different scales coming out – 35mm, 75mm and busts! 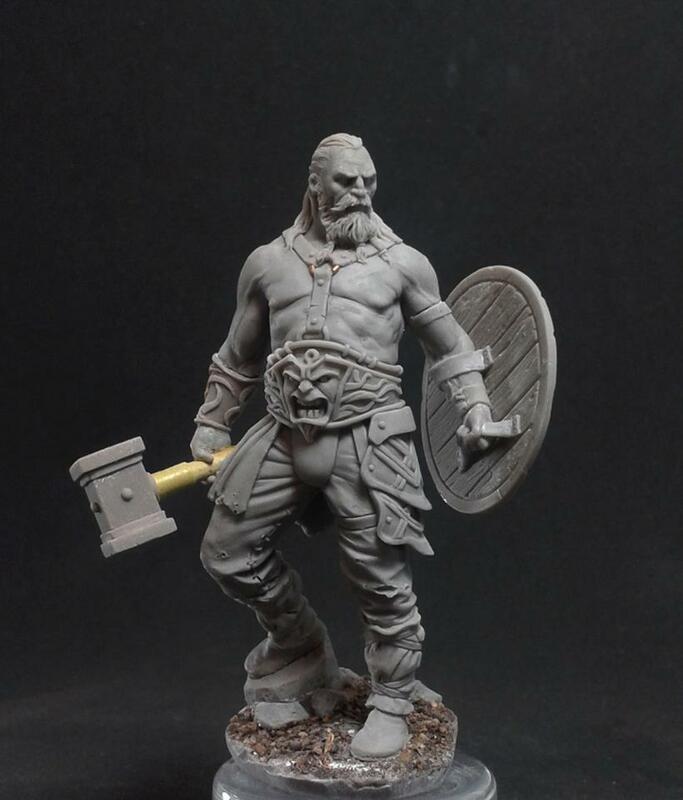 An absolutely beautifully sculpted old barbarian (who just happens to be sporting my moustache) from the uber talented fingers of Joaquin Palacios – cant wait to see a painted version of this guy! Now, as if that wasn’t exciting enough, they have actually got another version of the Old Barbarian in 35mm scale which is also superb! 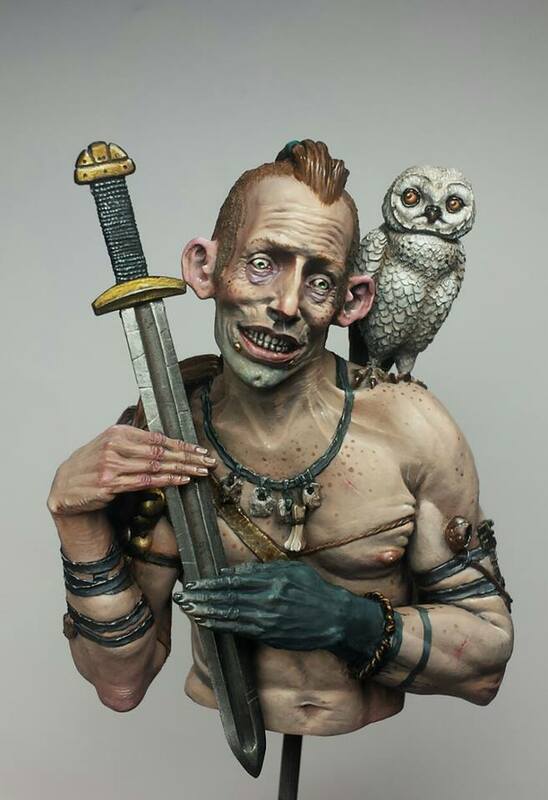 This one sculpted by by Luc “Thantor” Pinganaud and really captures the details well even in this much smaller scale. I have also started to paint him now – just the flesh tones to begin with (which is my usual MO), but I am already excited about how he will turn out! Make sure you check them out on Facebook and prepare to be amazed! Have been followig this company after seeing boxart by Ben Komet and the sculpting progress. Very nice models being released, so seems like a positive future for them. Congratulation on doing the boxart think your style will compliment the 35MM. 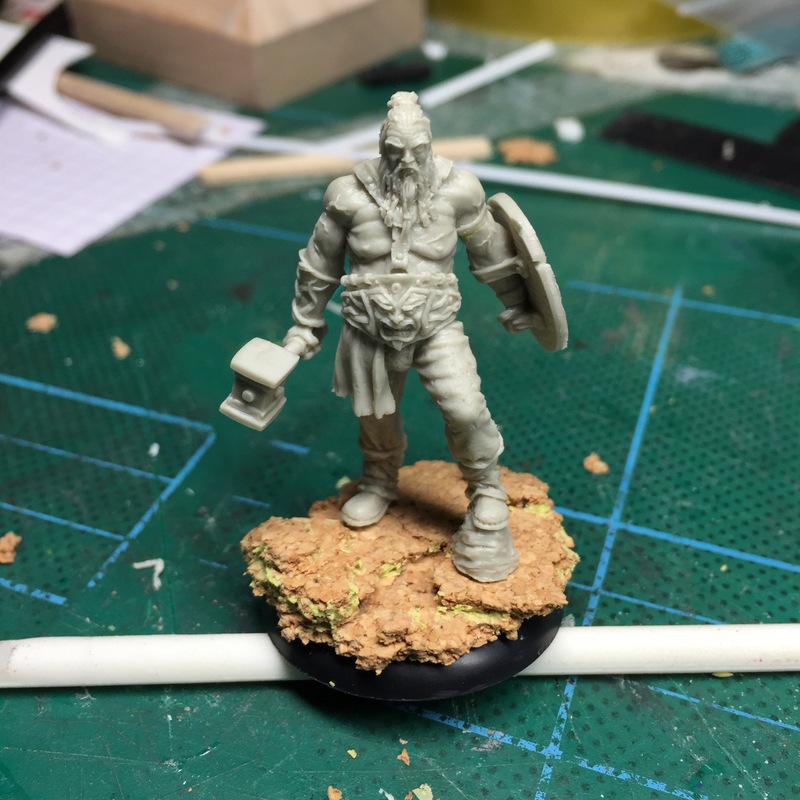 Thanks Naiconn – i think there is a great future ahead of these guys as I find their sculpts really quite exciting and a little bit different (especially the grizzled old vet barbarian), and they have some superb sculptors on board. I am looking forward to sharing more! I really would like to know when Black Sun Miniatures is going to launch their website? I see a lot of wonderful miniatures, but no release dates for them.